For me, this is the program that has affected me the most in my life, and still does. I have done some work on it, but not nearly enough. Most of the time, I guess I’m just too afraid to go there and dig deeper. I know what the root of my fear is, and I know the work that I need to do involves a lot of acceptance and forgiveness. If you read a bit on the fear of abandonment (and I have, because it’s one of my main concerns), you will see that most of the time it comes from childhood. If you’ve experienced the loss of a parent through death, divorce, or simply because he/she was never at home, then you might have perceived it as abandonment. However, physical abandonment is not all there is to it. Emotional abandonment is also a thing, and personally, I don’t think there’s one person in this world who has been lucky enough to escape it, so to speak. A pattern of neglect can be perceived as emotional abandonment, and it may include: the parents not validating their children’s emotions, or worse: ridicule them when they express how they feel, or the parents being too wrapped up in their own problems to pay attention to their children beyond the basic needs. These patterns are usually perpetuated later by the children themselves when they become adults and are unaware of the trauma they went through, along with the tendency to stay in relationships that don’t work or are downright toxic because they’re too afraid they will never find someone else again. In general, these people will do anything to keep the relationship alive and dig themselves deeper in their own abandonment issues. That last part… I know it because I’ve been there. Fear of loneliness and fear that everyone will eventually leave when they realize you don’t actually have anything of value to offer them… I know it’s an illusion, but it feels so real. 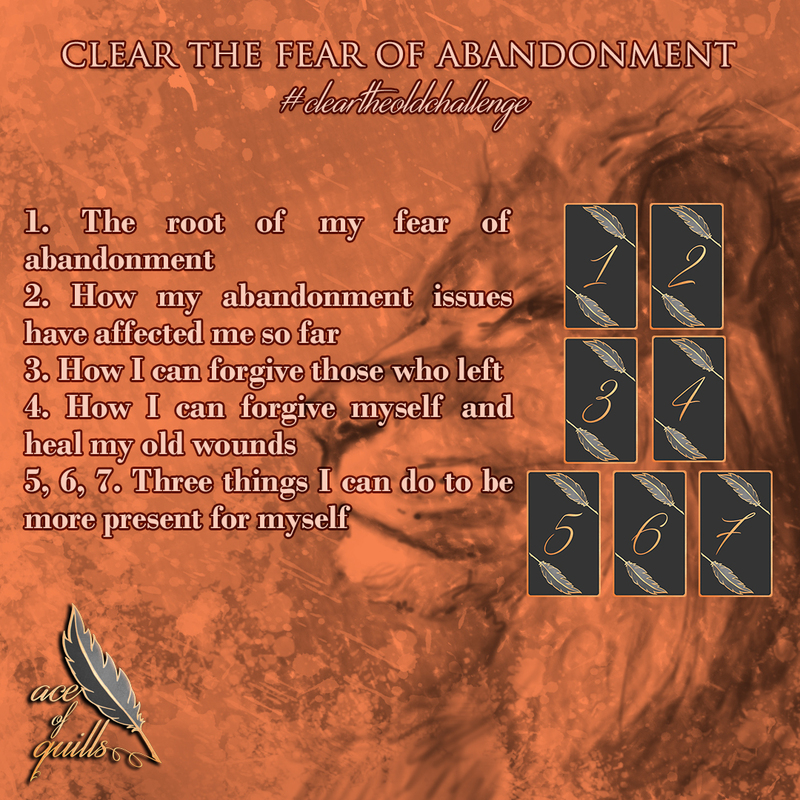 I’ve created this spread for those who are struggling with similar abandonment issues. I’m very curious to see what cards will come up for me, and I already know I will have to journal about them.